How do I upload a logo or image to my payment form? Logos are displayed at the top of the payment/checkout form that your payers see. If you would like a logo to show up on both the desktop and mobile widths of your form, you will need to upload a logo for each. 3) Find the Logo section. Click Yes to add either a logo, a mobile logo, or both. The maximum width for the full desktop width is 580 pixels. If your file is wider than this, it will be scaled down to 580 pixels, maintaining the same aspect ratio. The maximum width for the full mobile width is 320 pixels. If your file is wider than this, it will be scaled down to 320 pixels, maintaining the same aspect ratio. 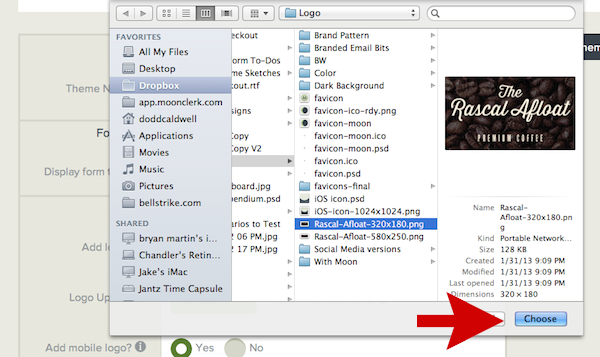 6) Once you've chosen the file(s), click the Create Theme or Update Theme button.